Russian-terrorist forces remain active in Donbas and continue mounting large-scale offensives on the positions of Ukrainian troops and civilian objects, while also carrying out tactical offensives in a number of areas. During the past 24 hours, insurgents were active in areas that had been [previously] considered relatively “calm” following the signing of the Minsk II Agreements. 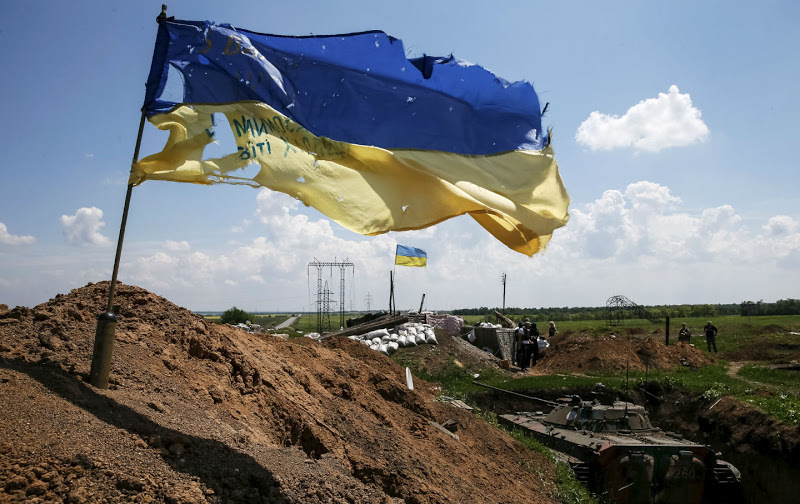 In the vicinity of Mar’inka, terrorists continue their attempts to storm the ATO forces’ positions in order to initiate a battle for the settlement [area]. Under cover of 122- and 152-mm cannon artillery and 82- and 120-mm mortars, enemy infantry groups try to approach the advanced positions of Ukrainian troops in order to force a short-range (under 200 meters [219 yards]) firefight. During the last 24 hours, insurgents used four tanks, two BMP-2 infantry fighting vehicle, and two BTR-80 armored personnel carriers in their attempted offensives. As a result of retaliatory fire by the ATO forces, one terrorist T-72B [tank] was damaged (but was able to return to the starting line), as well as one terrorist APC. Ukrainian flag at a position near Mar’inka. Photo source: Reuters. An insurgent group (450-500 people) was seen arriving in the vicinity of Donetsk. [The group has been] trained in Russian-terrorist “training camps” in occupied Crimea and Rostov-on-Don (Russia). Some of the insurgents are residents of Donbas; at least 70% are Russian mercenaries, including amnestied criminals. An insurgent unit (up to 600 people, 100 of which have been unloaded in Makiivka) has arrived from Russia on board buses, accompanied by approximately 20 Russian soldiers. Vehicles, weapons, and equipment for this group were delivered to Donetsk earlier. Insurgents were brought to the vicinity of ​​the Krytyi market where they changed into fatigues without insignia. Within hours, two reinforced companies from this group (about 220 people) were deployed to the zone of active combat operations near Mar’inka. In the vicinity of Hranitne and Stepne, terrorists deployed mobile ZU-23-2 artillery units and 82-mm mortars mounted on vehicles. Several times over the past 24 hours, insurgents carried out precision fire from heavy machine guns in these areas. In the Seaside [Mariupol] sector, insurgents fired on the ATO forces’ positions near Shyrokyne, using 122-mm artillery, 120-mm mortars, and AGS-17 grenade launchers. In this area, terrorists operate with 2 artillery groups (squadrons) and 3-4 battery level mortar units. Over the past twenty-four hours, terrorists shelled Nelepivka and Novgorodske using 120-mm mortars. The residential areas took the brunt of the shelling. Insurgents shelled the settlement of Troitske (Artemivsk sector) twice, using 152-mm artillery (this is the “work” of the artillery group previously transferred to the vicinity of Irmino through Stakhanov). At this time, two terrorist artillery squadrons are concentrated in this area (22-24 cannon artillery units of both of the main calibers). The settlements of Luhanske, Svitlodarsk and Myronivske were also shelled by insurgents using cannon artillery (122-mm) and mortars (82-mm and 120-mm). Terrorists shelled the ATO forces in the vicinity of Novotoshkivka using Grad BM-21 multiple rocket launcher systems [MRLS]. Clashes took place in the vicinity of Sokilnyky, Krymske, and Orikhove. 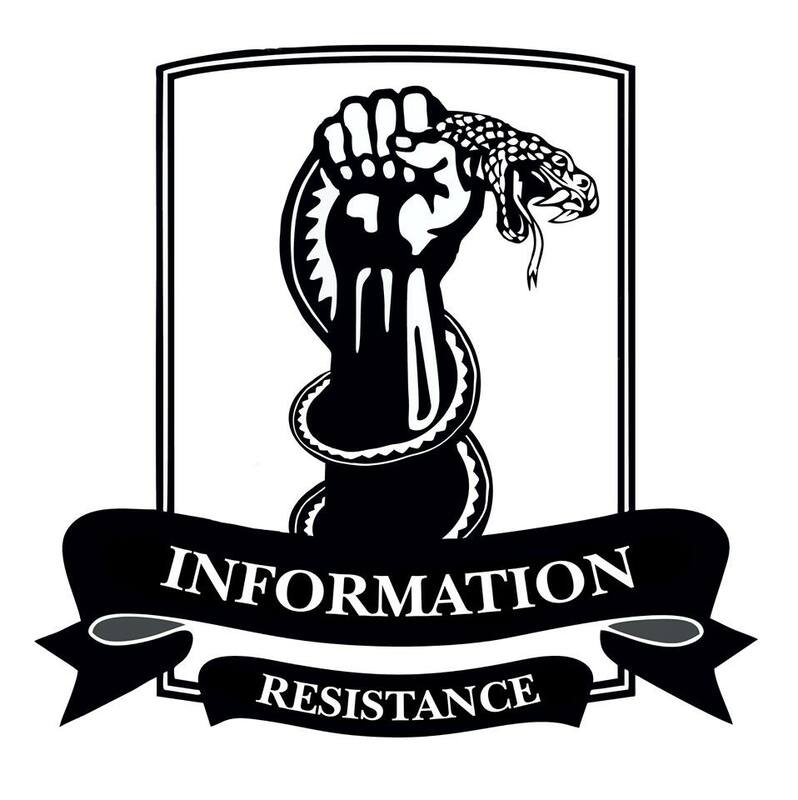 Near Krymske, enemy infantry groups attacked [Ukrainian] checkpoints and attempted to penetrate the tactical rear of the ATO forces. All of the enemy’s attempts to this effect were repelled with retaliatory fire from the Ukrainian troops. In the vicinity of Shchastya, insurgents used AGS-17 and heavy machine guns for unaimed fire. A tactical insurgent group concentrated in the area of Obozne is being quickly reinforced with troops transferred through Stukalova Balka. Up to 14 tanks and 28-30 infantry fighting vehicles are already deployed in this area. Artillery is being deployed north of Luhansk (approximately a composite artillery squadron, using 122-mm Gvozdika 2S1 self-propelled artillery guns, and D-30 howitzers). Three armored terrorist groups are concentrated on the stretch between Mospyne and Komsomolske (up to 30-35 tanks and 55-60 various armored combat vehicles in each); another group is stationed south of Telmanove (up to a battalion in strength, with 18-20 tanks and 26-27 ACV). More equipment and armaments are being transferred through Alchevsk to reinforce the Stakhanov-Pervomaysk insurgent group. Over the last twenty-four hours, we spotted 26 trucks, as well as five BMP-2 infantry fighting vehicles, two BTR-80 armored personnel carriers [APCs], two MT-LB trucks with 120-mm mortars, and 4 tanks. All units of the “Army of the LNR” [Luhansk People’s Republic] were paid wages (including all wages in arrears) for April and May of this year, in US dollars. A week earlier, the “Army of the DNR” [Donetsk People’s Republic] were also paid wages in US dollars. During the entire conflict in Donbas, such large-scale payments had only been made once before, in January 2015, before the events on the Debaltseve springboard.